Excitement was in the air as school board members, community leaders and the parent/teacher organization took to the podium to speak about the renovation and new addition to Dublin Elementary School. Students, faculty, staff, and parents applauded as the Principal for the Shamrocks announced, “You’re sitting on the site of our new eight-classroom addition.” Issues of hot classrooms and overcrowding will soon be eliminated by the $3.4 million renovation/addition project. G & H Contracting and Spectrum Design are working to complete the renovation by the start of the next school year. The 11,000sf addition is schedule for completion by end of year. 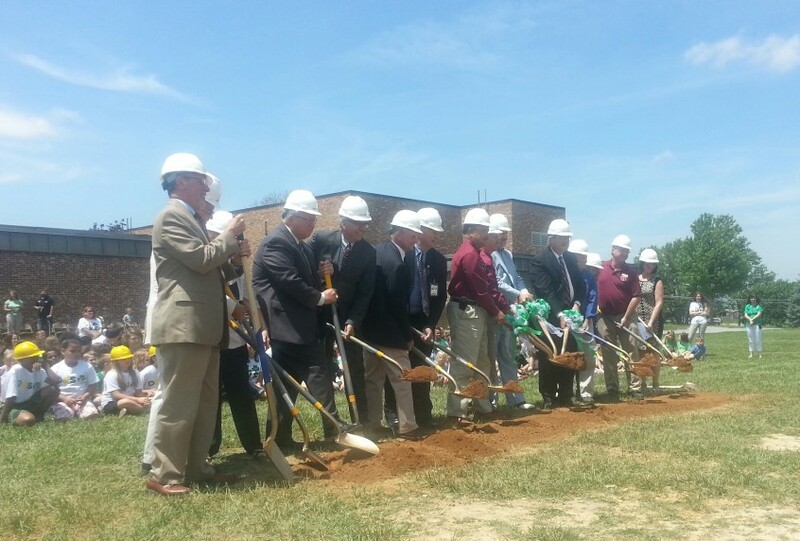 Visit http://www.southwesttimes.com/2015/05/officials-students-break-ground-at-des/ for complete coverage of this project.